Trump Asks Beijing for Plan to Slash US-China Trade Deficit - Integration Through Media ....! 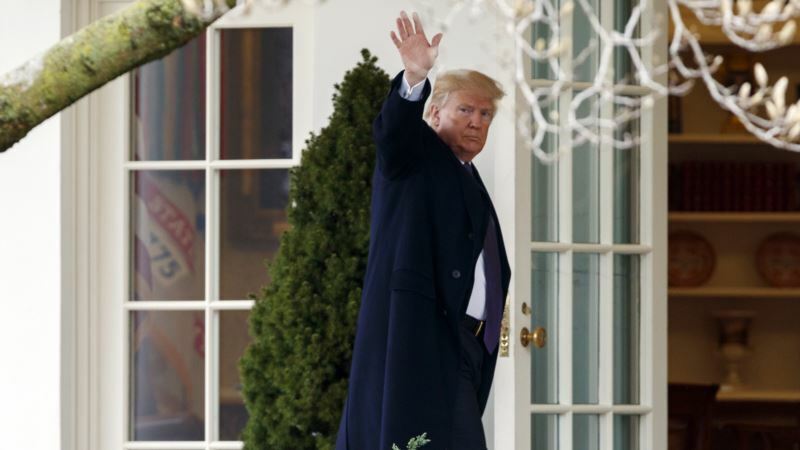 (VOA): U.S. President Donald Trump tweeted Wednesday his administration has asked China to come up with a plan to lower the U.S. trade deficit with China by $1 billion. Trump followed with another tweet vowing the U.S. would fight against intellectual property theft, although he did not directly accuse China of the crime. Ikenson also pointed out that the president suggested China has a trade deficit with the U.S., and it's actually the other way around. According to the Commerce Department, U.S.-China trade deficits rose to $375.2 billion in 2017, up from $347 billion in 2016. In an effort to avoid a possible trade war between the world's two largest economics, Chinese President Xi Jinping recently sent his top economic advisor Liu He to the White House, where he met with Trump administration officials to discuss trade and other issues. During his visit, Liu met with U.S. Treasury Secretary Steven Mnuchin, U.S. Trade Representative Robert Lighthizer, and Trump's economic advisor Gary Cohn, who resigned Tuesday after Trump announced his plan to impose tariffs on foreign steel and aluminum. The outcome of that meeting was unclear. In recent months, Trump has repeatedly complained about the trade deficit but has said he does not blame China for it. Instead, he criticized his predecessors for agreeing to what has described as bad trade deals. In his effort to lower the trade deficit, Trump has announced a series of steep tariffs on imported goods this year. In January, Trump slapped tariffs on imported solar panels and washing machines and just last week, he announced his intention to impose 25 percent tariffs on steel imports and 10 percent tariffs on imported aluminum products. This announcement has drawn worldwide criticism and sparked fear of a possible global trade war. He said the tariffs will put a lot of strain on the global trading system because national security has not been invoked to impose tariffs since the World Trade Organization was created in 1995. “Once China and other countries see the United States invoking national security to raise trade barriers, the idea will be contagious,” he said. According to latest figure released by the Commerce Department on Wednesday, the U.S. trade deficit rose to more than nine-year high in January. The trade deficit rose 5 percent from 53.9 billion in December to $56.6 billion in January, the highest level since October 2008. Trade deficit with China rose 16.7 percent to $36 billion, the highest since September 2015.